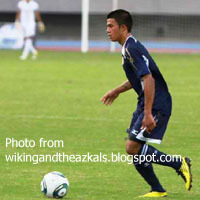 Playing for an obscure lower division Belgian club may not be the most exciting credential to qualify a player for the Azkals; but that was all Filipino-Belgian Jeffrey Christiaens carried when Azkal fandom first caught a formal glimpse of him in a full international during the 2011 Long Teng Cup in Kaohshiung. Chieffy Caligdong, of course, was the first-choice for the left flank. 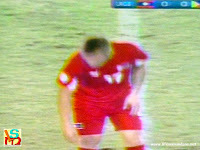 An injury in the second match against hosts Chinese-Taipei forced him to limp out. Christiaens was left-sided, quick and athletic; not to mention being fairly decent in terms of skills. He was, therefore, the obvious stand-in while Caligdong was forced by injury to watch from the stands. No such problems for Christiaens, whose reading of the game improved with each passing game and who could, if caught out of position, turn on the afterburners that de Murga probably wishes he has as well. The lad, admittedly, looked raw; but he was prepared to work hard and try his utmost for the cause. He could push his head down and head for the bye-line and was not a bad crosser of the ball, either. He had classic winger written all over him. The tournament was short; but I saw enough of Christiaens to think that Caligdong would have to start looking over his shoulder sooner rather than later. The Fil-Belgian was a long way from being the finished product; but seemingly had all the right attributes to enable him to one day stake a claim for the left flank. He also enjoys the height and physique that Caligdong can use even just a wee bit more of. Not that the Air Force man is of no use the way he is; but think of what a couple of inches and a larger frame can do to improve his game even more. The Philippines finished second in the Long Teng Cup – an improvement over its performance the previous year – and the attention of Azkal fandom turned to preparations for the SEA Games, of which Christiaens was to be a part. Regrettably, the campaign itself was ultimately forgettable; and Christiaens was not even a regular. When on the pitch, he struggled to replicate his form in the Long Teng Cup. While I am not privy to the dynamics of that team, I do know that the pressure can be significantly less for a young player in a senior team than when he plays for a team of his own age group. Surrounded by senior players, the youngster gets hands-on and real-time tutorials on crucial matters like positioning. The leadership burden also naturally falls on the shoulders of older players, freeing the youngster to play more expressively. This was not the case in the SEA Games for a team that not only lacked depth but was also marred by controversy, all the while burdened as it already was by the weight of national expectations spawned by the success of the senior team. In retrospect, therefore, it was not only Christiaens who underperformed but also many of his other teammates. Christiaens’ dip in form might have looked glaring, however, probably because of his own success in Kaohshiung with the senior team. The lad slipped under the radar after the SEA Games, although he continued to be part of the youth setup. To see him resurface in Phnom Penh – in the starting lineup, no less – but in the unfamiliar position of leftback was, therefore, interesting. Whether Christiaens had played in that position before is something that I do not really know. What I do know is that at the end of the three-match swing around the continent, I am rather inclined to consider the decision to pull him down to the backline something of a stroke of genius on the part of Michael Weiss. The unavailability of both Dennis Cagara and Ray Jónsson probably had something to do with the conversion; and this is something that will continue to be an issue for subsequent non-FIFA sanctioned tournaments and internationals. Since Christiaens has committed to play for Global FC in the UFL, we shall have the luxury of a quality home-based leftback ready to go at a moment’s notice. He was quality in the Asian tour, make no mistake about it! Excepting a third minute lapse in Singapore, which allowed Shi Jiayi to bear down on Neil Etheridge’s goal, Christiaens had the left flank plugged for most of the three international friendlies. Even in the losing effort against Laos, both penalties were conceded from Carli de Murga’s side of the pitch. It will take either a brave or deranged man to bet on de Murga winning a sprint, after all; and the rightback was being roasted even as early as the first half. Christiaens, probably under instructions, stayed back more against Singapore. 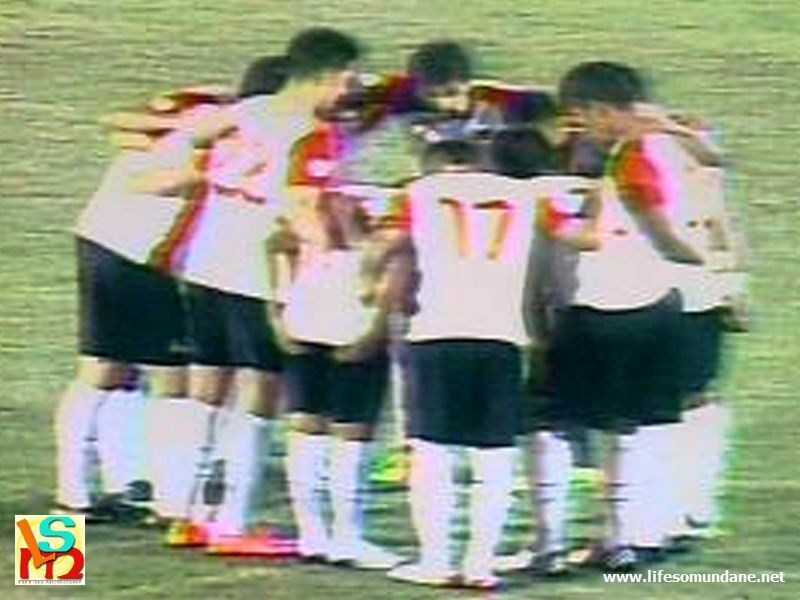 Against Laos, on the overlap he showed glimpses of the galloping winger of the Long Teng Cup. What was more, he seemed to have developed an excellent understanding with Caligdong. Interestingly, after Misagh Bahadoran’s sending off in the second half, Christiaens effortlessly tore up and down the left flank both defending and sending in the crosses that Bahadoran would otherwise have been expected to deliver. Stephan Schröck’s wizardry and Phil Younghusband’s exquisite goal were understandably the main talking points of the entire tour – discounting the Thrilla Not In Manila, of course – but Christiaen’s successful conversion into a quiet but effective leftback has also got to rank among the team’s greatest gains.